This game was designed for tablet or large exhibition kiosk screens. 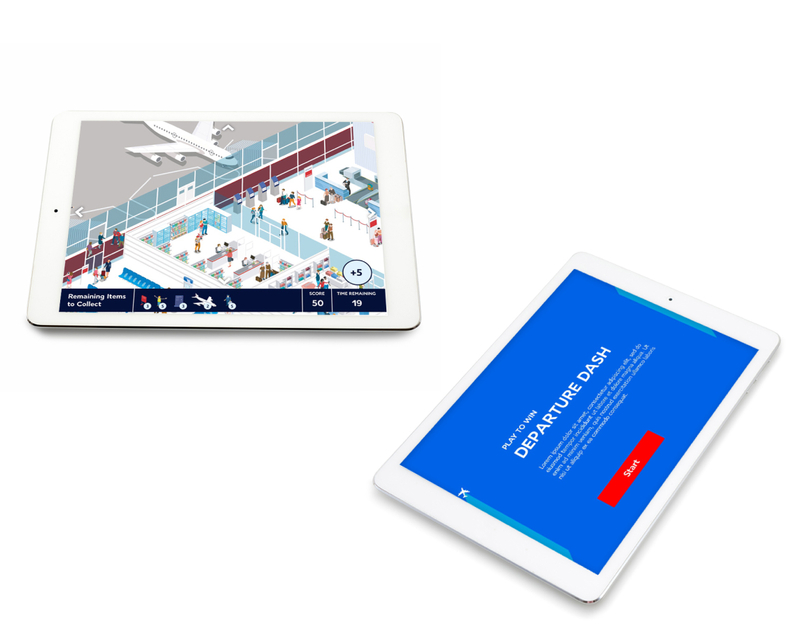 Players get to explore an airport graphic and learn about this airline’s services and products, all the while competing on a global leaderboard. 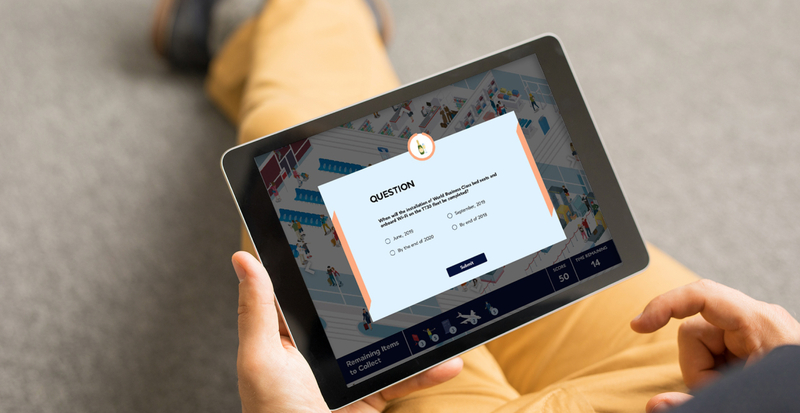 To engage people at exhibitions or shows, this major airline required a game that would not only engage people, but also teach them about their products and services. We created a fun graphic of an airport to explore where players have a limited time to spot items, tap on them and then answer related questions. Their times and scores are recorded on a global leaderboard, encouraging replay and more understanding of the client’s business.